Obstructive sleep apnea is caused by a blockage of the airway. This may occur when the soft tissue in the rear of the throat collapses and closes during sleep. Sleep apnea causes SNORING, intermittent cessation of breathing during sleep, which the person having the sleep disturbance may be unaware of. This results in reawaking and restless sleep, and concomitantly, daytime fatigue. Obstructive sleep apnea accounts for 85% of cases. According to some studies, one in every 15 Americans is affected by this condition, and only a small percentage of them get treated. Weight loss and diabetic control might be sufficient for some who have a mild condition. There are also breathing exercises, and the placement of an orthodontic specially fitted mouth guard that flattens the posterior mouth during sleep. Those who have moderate to severe sleep apnea may require assisted beathing during sleep, or surgery. 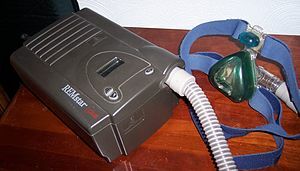 The standard treatments are CPAP (continuous positive airway pressure ) or BiPAP (Bilevel positive airway pressure), the first being most commonly used. However, the effectiveness is influenced by body positioning during sleep. 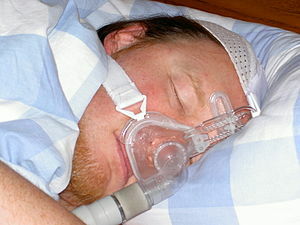 Many patients are unable to adjust to the CPAP mask, which has to fit snugly over the mouth and nose. A recently introduced surgical procedure that has gained wide use is transoral robotic surgery (TORS). 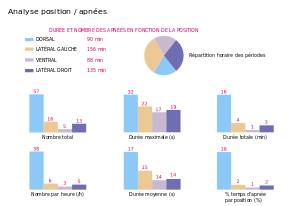 The use of da Vinci® robot-assisted surgery for treatment of obstructive sleep apnea is revolutionary due to the minimally invasive nature of the procedure. The surgeon guides the robotic arms in through the patient’s mouth, and a high-definition [3D] camera allows the surgeon to perfectly visualize areas of the mouth and throat without any open incisions. The surgery focuses on reducing the size of the base of the tongue. Patients are assessed during an in-office examination, which includes a review of recent sleep studies, and an evaluation with a scope to identify the level and nature of obstruction. The sleep apnea procedure (TORS) involves the actual surgery and a 1-2 day hospital stay after the surgery. Full recovery is expected to take about three weeks. A sleep study is then conducted about three months after surgery to ensure that the procedure was successful. Continuous positive airway pressure or CPAP is used both in hospitals for newborn babies or those who suffer from respiratory failure, and in the home. The device works by increasing pressure in the airway, preventing collapse while breathing in. The CPAP machine has tubing, a setting for the pressure, and a mask that covers the mouth and nose, delivering the air pressure into the nasal passages. The right air pressure for a patient is prescribed by the sleep physician after conducting a detailed overnight study of the patient’s breathing pattern. Such a prescribed air pressure is termed as ‘titrated pressure’. The CPAP machine, set at the prescribed air pressure , blows air at the titrated pressure, maintaining the air passage open for uninterrupted breathing during sleep. Nasal Congestion: Use of CPAP machines may cause nasal congestion. Some patients may experience nasal irritation or a runny nose too. This is because of the fact that the nose humidifies the air that passes through it and the air from CPAP machine dries up the nose. The body reacts by producing more mucus in the nose, which leads to nasal congestion. In some patients, there will be no mucus production and this results in dry nose, which cause nasal irritation, burning or sneezing. CPAP machines with inbuilt humidifier may help you address this problem. Other problems are ear pressure and difficulty from a deviated nasal septum. Only 23% of individuals suffering from sleep apnea succeed in getting used to CPAP. A popular alternative to this machine are the intraoral dental appliances that consist of two U-shaped plates that are joined to form a hinge. These can be custom-made by a dentist or an orthodontist. It adjusts the lower jaw and tongue of a user, so that the air passage does not collapse while sleeping. There are lingual tabs that hold the appliance in place. 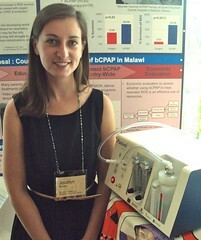 The Bilevel Positive Airway Pressure (BiPAP) is a patented, non-invasive ventilation machine. As the name suggest, it delivers two levels of pressure. Inspiratory Positive Airway Pressure (IPAP) is a high level of pressure, applied when the patient inhales. 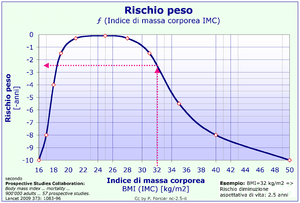 Expiratory Positive Airway Pressure (EPAP), a low level of pressure exerted during exhalation. BiPAP is used to treat central sleep apnea and severe obstructive sleep apnea, and It is prescribed for patients who suffer from respiratory and heart diseases. Patients using the CPAP have to exert extra force against the air flow while exhaling, whereas with the BiPAP, the airway pressure is set at high and low levels, making it more user-friendly. 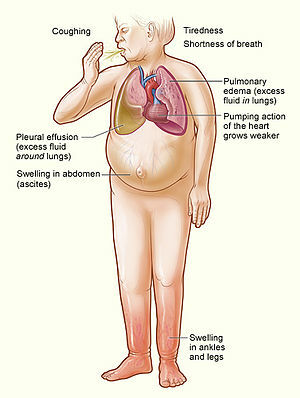 Sixteen of 22 obese diabetics of an apneic cohort had severe and six had moderate obstructive sleep apnea syndrome. The cohort had an average of 44.6 + 21.9 apneic or hypopneic events per hour averaging 23.3 + 5.9 seconds, with oxygen saturation of 73.5 + 9.5% (normal 94%). The patients had retinopathy manifesting multiple nerve-fiber layer infarcts, at least 3 in each eye, and more than 6 infarcts in most eyes, with microvascular leakage and macular edema. This finding was rare among the cohort without sleep apnea. Laparoscopic surgery has been associated with ventilator complications, contingent on cardiac and respiratory comorbidities, and body habitus., particularly morbidly obese patients receiving general anesthesia. The EZ PAP positive airway pressure system is an easily used, disposable device that delivers CPAP air flow from an oxygen flow meter, and has been predicted to improve oxygenation, reducxe CO2 retention, and lower the risk of respiratory complications postoperatively. 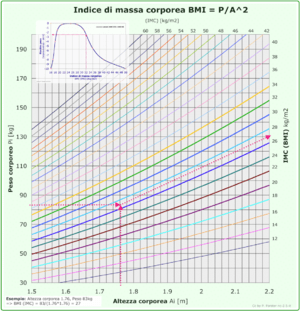 Patients in the EZ PAP group demonstrated improvement in ventilator effort in the first few hours postoperatively, but the measured benefit did not exceed 4 hours. Interventions must be aimed at improvement for longer periods. 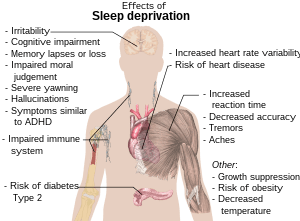 Sleep apnea is well documented to negatively affect neurocognitive and neuropsychiatric functioning, including memory, attention, mood, and anxiety. It has been identified as a risk for developing Alzheimer’s disease, and TBI (traumatic brain injury) is a risk factor for developing dementia, expetially in those with the apolipoprotein epsilon 4 allele. The majority of sleep apnea are male and TBI is common in veterans of combat, the increased incidence of sleep disordered breathing in TBI patients (SDB in TBI in 50-70% of patients) is of interest to the Department of Veterans Affairs. A recent review by O’Hara et al. found that sleep apnea interacted with APOE ε4 and carried increased risk for poor cognitive performance. Moreover, SNPs within the APOE gene (rs157580, rs405509, rs769455, and rs7412) all showed associations with OSA in children, with age and BMI as covariates. This suggests that the interaction between TBI, OSA, and APOE genotype is quite complex. Studies indicate that CPAP/BiPAP can be effective in reducing the sleep apnea and the cognitive sequelae. The question is raised as to whether the treatment of OSA might only target APOE ε4 carriers, but it is important to recognize that chronic pulmonary disease that increases hypoxia would factor in. Objectives The aim of this study was to examine the effect of continuous positive airway pressure (CPAP) therapy on atrial fibrillation (AF) recurrence in patients with obstructive sleep apnea (OSA) undergoing pulmonary vein isolation (PVI). Background OSA is a predictor of AF recurrence following PVI, but the impact of CPAP therapy on PVI outcome in patients with OSA is unknown. Methods Among 426 patients who underwent PVI between 2007 and 2010, 62 patients had a polysomnography-confirmed diagnosis of OSA. While 32 patients were “CPAP users” the remaining 30 patients were “CPAP nonusers.” The recurrence of any atrial tachyarrhythmia, use of antiarrhythmic drugs, and need for repeat ablations were compared between the groups during a follow-up period of 12 months. Additionally, the outcome of patients with OSA was compared to a group of patients from the same PVI cohort without OSA. Results CPAP therapy resulted in higher AF-free survival rate (71.9% vs. 36.7%; p = 0.01) and AF-free survival off antiarrhythmic drugs or repeat ablation following PVI (65.6% vs. 33.3%; p = 0.02). AF recurrence rate of CPAP-treated patients was similar to a group of patients without OSA (HR: 0.7, p = 0.46). AF recurrence following PVI in CPAP nonuser patients was significantly higher (HR: 2.4, p < 0.02) and similar to that of OSA patients managed medically without ablation (HR: 2.1, p = 0.68). Conclusions CPAP is an important therapy in OSA patients undergoing PVI that improves arrhythmia free survival. Comment: . The current study extends similar benefits to those undergoing catheter ablation to those undergoing elective cardioversion of atrial fibrillation with a better long term success when OSA patients are treated with CPAP. A putative relationship between OSA and diabetic macular edema associated with optic nerve fiber layer infarcts. Unver YB, Yavuz GSA, Stafford CA, Sinclair SH. EZ-PAP in the postoperative period: a pilot study. Talley HC, Twiss K, Wilkinson S, et al. Continuous positive airway pressure devices for the treatment of obstructive sleep apnea-hypopnea syndrome: a systematic review and economic analysis. McDaid C, Griffin S, Weatherly H, Duree K, et al. Sleep apnea, apolipoprotein epsilon 4 allele, and TBI: Mechanism for cognitive dysfunction and development of dementia. O’Hara R, Luzon A, Hubbard J, Zeitzer JM. J Rehab Res Develop 2009; 46(6):837-850. Link between sleep apnea and cardiovascular disease is an established fact and one recent study further supported that treatment of obstructive sleep apnea by continuous positive airway pressure in patients (CPAP) with heart failure would improve left ventricular systolic function. In a recent study researchers in Spain followed thousands of patients at sleep clinics and found that those with the most severe forms of sleep apnea had a 65 percent greater risk of developing cancer of any kind. The second study, of about 1,500 government workers in Wisconsin, showed that those with the most breathing abnormalities at night had five times the rate of dying from cancer as people without the sleep disorder. Both research teams only looked at cancer diagnosesand outcomes in general, without focusing on any specific type of cancer. In both studies the researchers ruled out the possibility that the usual risk factors for cancer, like age, smoking, alcohol use, physical activity and weight, could have played a role. The association between cancer and disordered breathing at night remained even after they adjusted these and other variables. They are of the opinion that cancer linked to possible lack of oxygen or anaerobic cell activity over long periods of time, therefore, it’s possible poor breathing fails to oxygenate the cells sufficiently. Thus I personlly believe that the research on positive outcome on possible link between breathing and cardiac and cancer clearly demonstrates the importance of regular breathing exercises (other wise known as ‘Pranayama’ in India) as part of our every day life. Curator: Dr. V.S. Karra, Ph.D.